Power BI is a reporting application developed by Microsoft that provides users with the ability to find, visualise and analyse data from different sources on real-time basis to make informed data-driven business decisions. With Power BI, analysts are able to transform boring company statistics and data into rich visuals allowing stakeholders to focus on what matters most and spot trends instantaneously. As a result, Power BI offers management with the ability to easily monitor and analyse data to effectively allocate resources to appropriate projects. How does Microsoft Power BI work? allowing businesses to share their reports on their websites or embed into custom developed apps. With Power BI, organisations can monitor every aspect of their business from a dashboard. Using Power BI is a simple 4-step process. 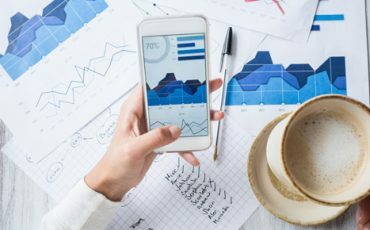 Data Analysts can ‘Get Data’ from different data sources such as cloud data services, on-premises sources, excel spreadsheets, SQL databases and store it in a centralised location for users to start exploring the analytics. Power BI provides the ability to ‘Shape’ the data as required without affecting the original data source. Once each type of data is shaped as per the business requirement, they can be ‘combined’ and merged to generate insights based on report criteria. With Power BI, you can generate insight with simple drag-n-drop gestures and save these insights as beautiful, interactive reports. 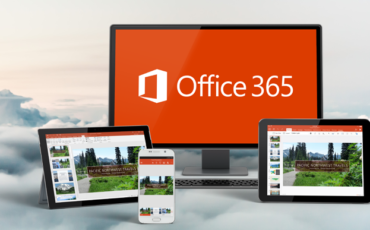 Once all the data is collected, sorted and merged according to the business requirements; analysts can use Power BI to generate insights with simple drag-n-drop gestures and save them as beautiful and interactive reports. Once the report generation is completed; Power BI can be used to share these reports with internal and external stakeholders providing a holistic view of relevant data required to make informed business decisions. Microsoft Power BI allows interactive user-generated data analytics to be easily shared on a collaborative platform. It offers better visibility into all relevant data and helps easily monitor and analyse data from different sources to make data-focused decisions. the ability to react and respond to changing circumstances and trends. Power BI helps users in many industries track and analyse their data efficiently. This solution helps organisations reduce risks and unlock insights to drive informed decision-making. Irrespective of the department you are in, Power BI has at least one benefit to offer. 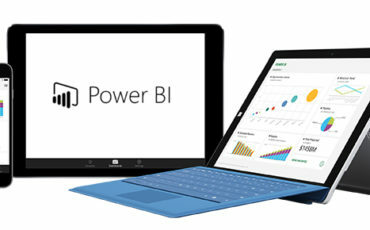 Empower IT Solutions can help you connect your existing systems with setting up and implementation of Microsoft Power BI. Our team of experienced consultants will collaborate with you to understand your business requirements; integrate all your internal systems with Power BI, set up data analytics and help you create personalised dashboards. Thriving businesses these days are using data to increase efficiency and profitability. To discuss the implementation and adoption of Microsoft Power BI for your organisational needs, call us on 1300 797 888.